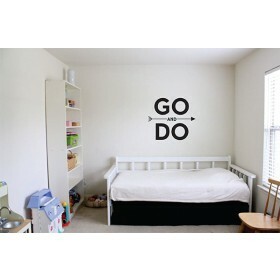 "Doubt Your Doubts Before You Doubt Your Faith" vinyl decal. Easy to apply. This product will stick to most surfaces. As such, it will not remove cleanly, so please plan accordingly. Available in Black, White, Royal Blue, Navy Blue or Red. Sizes listed are approximate. 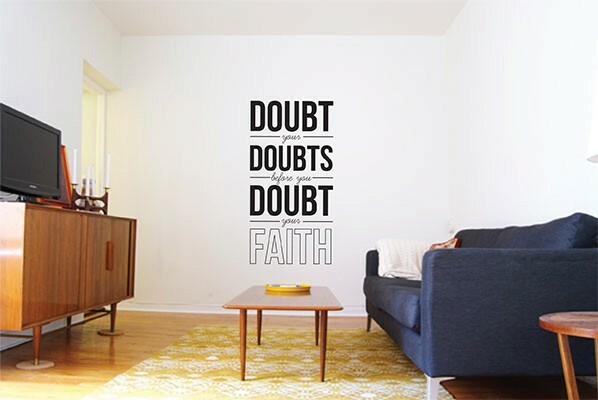 "Doubt Your Doubts Before You Doubt Your Faith" vinyl decal. 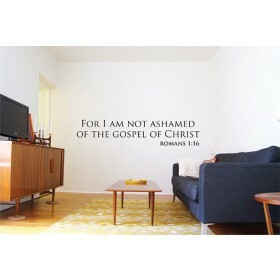 This is a vinyl decal, made with genuine 3M permanent adhesive vinyl material. Each decal will last for years when applied properly, and on most surfaces. As such the permanent adhesive will not remove cleanly from most surfaces. 1) Wipe down the surface with a dry cloth. 2) Peel back the release paper, exposing the adhesive. 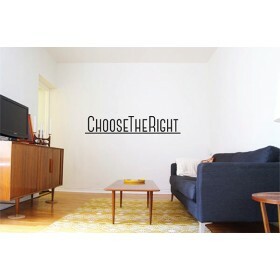 3) Slowly lay the vinyl on the wall, starting from the left and working towards the right. 4) Using a credit card, rub the blunt end over the masking tape on the vinyl. 5) Slowly peel back the masking tape. If all is well, the vinyl will stay, and the tape will pull away. Picture shown is for illustrative purposes only.